As the sun sets on the Ibiza season, Defected serve up some of the hottest house records around to transport you back to your favourite moments on the island this year. 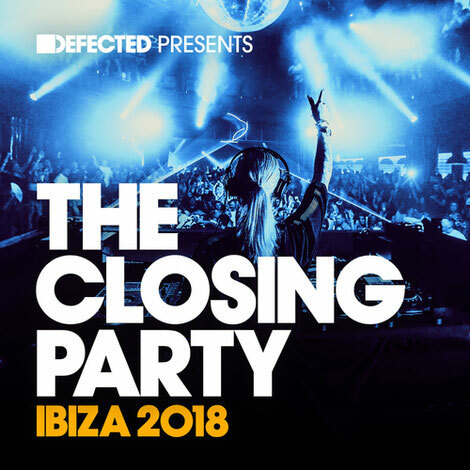 ‘Defected Presents The Closing Party Ibiza 2018’ is out on 7 September and features 30 tracks and two bonus mixes for your listening pleasure. Kicking off the final party is OFFAIAH’s ‘Work It Out’, Amine Edge & DANCE vs Clyde P on the energetic ‘90s-house-influenced ‘Dancin’’ and ‘Dopamine Machine’ by CamelPhat & Ali Love. Dancefloors this season have probably seen more brand-new disco productions than ever including Mousse T. serving up disco shizzle remix of Selace’s ‘So Hooked On Your Lovin’ along with ‘Body Funk’ by Purple Disco Machine and Brame & Hamo ‘Roy Keane’. More tracks come in the form of Cassius ‘W18’, Melé & Shovell’s rendition of ‘Pasilda’ and Illyus & Barrientos ‘Scream’. Also included are Wankelmut & Anna Leyne’s ‘Show You’, Marquis Hawkes ‘Don’t U’ and Dennis Quin & Shermanology ‘Move Out My Way’. Delivering those atmospheric sunset vibes is Franky Rizardo’s remix of Tinush ‘Struggle’ and Ferreck Dawn and Robosonic’s remix of Finn ‘Sometimes The Going Gets A Little Tough’. The compilation aims to bring all the essential Ibizan highlights together not only to reminisce on another season but also attempts to set the tone for the next 12 months in house music.